There are often times when Mom can't help but wonder just how different their lives all would be if not for that fateful day on December 10, 1967. Would Otis Redding and her dad still be best friends? Would her uncle Phil and her dad continue to manage him? Would the Reddings and the Waldens' children have continued to grow up together? Would her father been sparred decades of grief that haunt him to this day? Would Otis have loved her like he did the other members of her family? That's what happens when you grow up this close to the music. You hear the stories behind it. You're so close to it that it's almost frustrating. Your raised beside those songs as if they were siblings - and you love them and fight them all the same. There is no doubt all of our lives would have been different had that plane landed safely. Today, Mom's dad will do what he has always done for the past 42 years. He drives out to Round Oak and visits his friend. He continues to mourn. And I am sure that even decades later, he still asks why. But he also gives thanks. For changing all of our lives . . . and leaving our world some of the best damn music there is. If you've never shed a tear or felt something in your tummy when listening to Otis Redding, then you just don't have the volume loud enough. 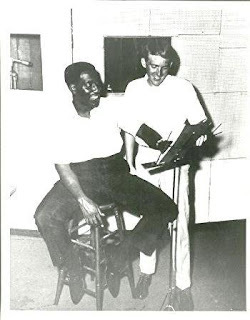 Love you, Otis - all 26 years of your life and your immortal, enormous presence that lives on.